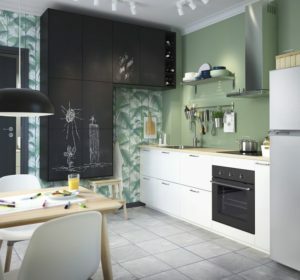 New to IKEA’s line of doors is a creative concept that melds art, entertainment and function…..the UDDEVALLA! 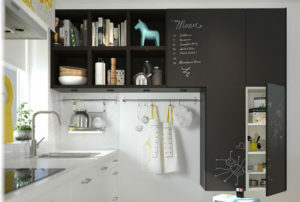 UDDEVALLA’s blackboard finish adds flair to your space, great for play rooms, kitchens and mud rooms. 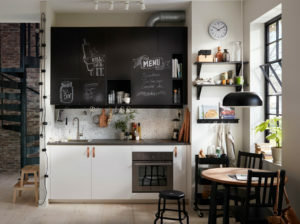 The use of recycled materials for the front, the matte black finish, and the chalk board surface allow you to write notes, draw pictures, and dream together . 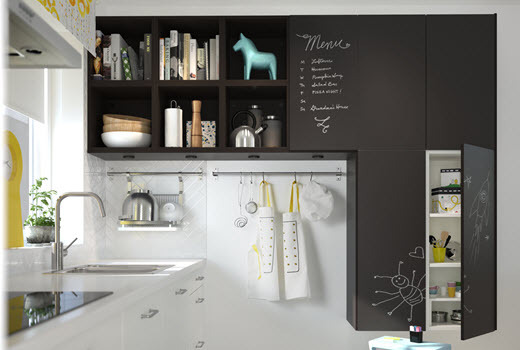 What an exciting Cabinet! The UDDEVALLLA is an amazing addition to any space and keeps a light hearted feel! We are excited to bring this innovative door style to your kitchen!